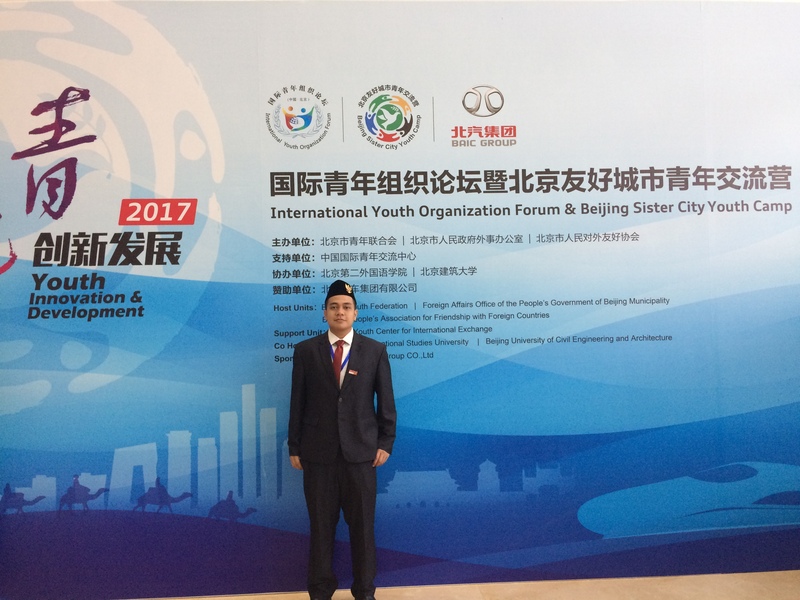 Last October 25 – 31, 2017, along with other 3 delegates of Jakarta through Jakarta Sister City Youth Program of Dinas Pemuda dan Olahraga (Youth and Sports Department) DKI Jakarta, I represented Indonesia and became an ambassador of Jakarta in 2017 International Youth Organization Forum & Beijing Sister City Youth Camp in Beijing, China. With the theme of youth and innovation, the 7-day event was joined by 165 youth from 30+ countries all over the world. The aims of the program were to promote each country’s update of youth role in government, technology, and entrepreneurship, introduce cultures of every country, learn how Government of Beijing and related parties built enhance the city, strengthen relationship among all countries, and expand network and friendship from youth all over the world. I would like to highlight and share my point of view which highly relevant to us as millennial. It is how to be a global youth citizen. First, English skills. It is arguably if we aim to be a global citizen, then we certainly have to master our English includes speaking and listening. To illustrate, during the event, delegates from each country have very different cultures, way of thinking, and interests. So how to blend them? Through a common language, which is English. To have a deep conversation one another, to share ideas and interests, and to get along we have to be able to deliver our ideas clearly, listen to what others are saying correctly, and respond them in a proper manner. For example, in one occasion, in a bus, there was an interesting conversation regarding how new governments in each country support youth. This was a complex topic yet an interesting one. Not many people were familiar with it, therefore, by mastering English skills, we easily joined and got involved with the talk which strengthened the bonding with other delegates. 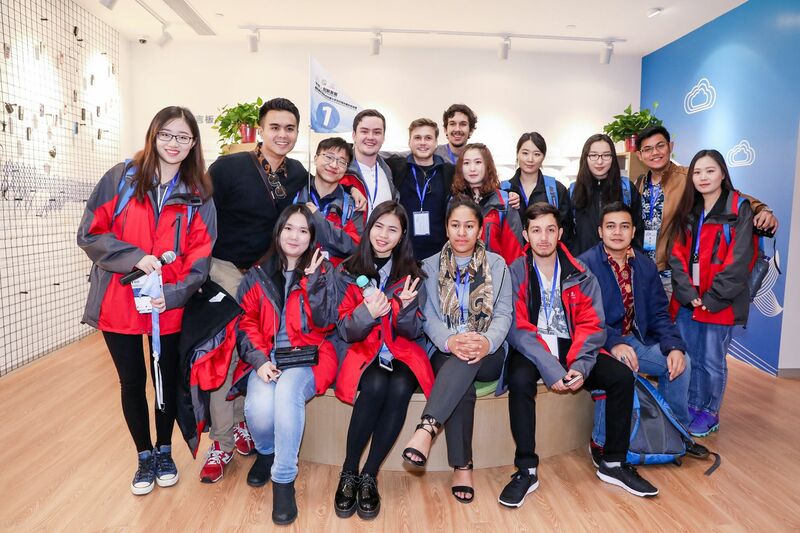 Having a good English skill will also boost our confidence level in meeting with other persons such as to open a topic for informal conversation, to start an ice breaking, to do a presentation, etc. Second, embracing diversity. Within 165 delegates from 30+ countries, definitely there are hundreds of different cultures exist. In order to embrace togetherness among participants, definitely we had to understand and appreciate their cultures. For instance, Western people commonly are more courageous in speaking. They tend to talk strictly and to the point. For Eastern people like us, if we have no idea about this, we might end up thinking that they are rude and impolite. It turns out they are not. Western people since in their childhood used to speak a lot. Their education system encourages them to voice out everything that crosses in their mind which results the culture of speaking strictly. Another example is one of the cultures of Chinese people is punctuality. They are very strict on it, which is good since it will make us consume our time efficiently and we won’t have to waste our time waiting for the others who are late. As a matter of fact, in other countries include Indonesia, punctuality is a bit flexible, such as if we have a meeting at 7, people could gather at 7.15 or 7.30. However, as a good global citizen, we shall understand why Chinese are so punctual. A Chinese friend of mine explained that it would be unfair for the ones who come on time if they have to wait for the ones who late, therefore they are very strict in punctuality. We don’t have to follow theirs, but we need to understand and appreciate it so that we are able to generate a global friendship. Third, having general knowledge of other countries. In my point of view, one of the easiest ways to make friends with people from other countries is by talking about their countries. People love it when foreigners have an idea about their homeland. It does not have to be a detailed one, yet a simple one is much appreciated as well. To illustrate, when meeting with pals from New Zealand, fortunately I had a bit knowledge about their country such as New Zealand has a lot of waterfalls and canyons, two of the biggest cities there are Auckland and Wellington, and there are many farms even in the capital city. It turned out that those knowledge about New Zealand were much appreciated by the delegates. We then had deeper conversations and became good friends. Even they took a video of me explaining about what I knew regarding their country and they are going to show it to their council. What an opportunity! Lastly, story-telling. People are curious and always want to listen to stories that they have never heard before. 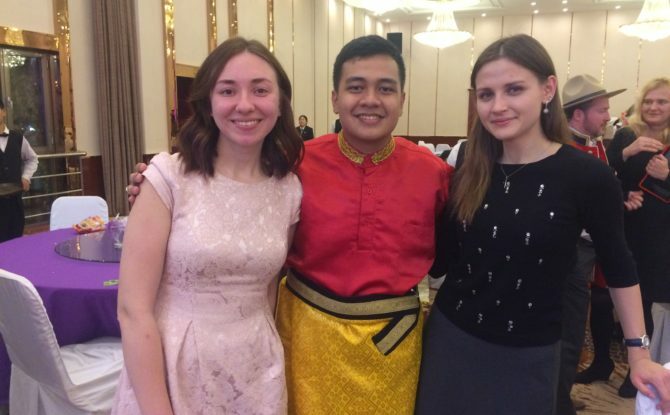 I found during the event that promoting our cultures, sharing about how current political, social, and economic condition in Indonesia, how we carry out our daily activities such as breakfast, work, what we do in weekend, etc are interesting topics for other delegates. Those topics helped me to get along with them. This is not only assists us to make friends but also promotes our beloved country and open further opportunities to collaborate together in the future. All in all, participating in international youth programs help me to be exposed with global interactions which gives us an opportunity to become a global citizen and be friends and having networks with youth across the world. In order to do so, we need to have a good English skill, appreciate other countries’ cultures, know more about other countries, and be able to promote our country. If we as youth are able to carry out those four, I believe we can be good global youth citizen!